Rogers, 24, is a native of Easton, Maryland. Her love of music and her artistry were apparent from an early age. By 2012, while a senior in high school, she recorded her first album, The Echo, by herself and used demos to gain admittance to New York University’s Clive Davis Institute of Recorded Music. In 2014, she self-released her second album, Blood Ballet. But it was the song “Alaska” that gave her career an invaluable boost. Rogers had quickly whipped up the song for a master class at NYU with guest instructor Pharrell Williams. Williams' very positive reaction to the track was captured on a video and it quickly went viral; Rogers had overnight fans eager to seek out the song and her two albums. It was the break she needed. From there, Capitol Records came calling, releasing “Alaska” in late 2016 and including it on her 2017 EP, Now That the Light is Fading. On “Back In My Body,” Rogers reflects on returning to familiar places after increased fame had forced her on on the road, away from the comforts of home. “Overnight” deals with life’s changes and the effect these changes have on relationships. “Light On” also examines how one of her relationships was affected by her blossoming success. Stripping away the synthesized production, “Past Life” presents Rogers on her own; her expressive voice accompanied only by piano. As a sort of cherry on top, Heard It in a Past Life, includes Rogers’ breakthrough song, “Alaska,” as well as “On And Off,” both of which appeared on the Now That the Light is Fading EP. Their presence adds not just familiarity, but shows growth; Rogers pursues a more polished approach to the production of her newer songs, as opposed to the pared-down feel of the two-year-old “Alaska.” This is a minor point and, in the end, the sonic variation only enhances Rogers' vision for this album. Rogers writes all of the lyrics, but here she collaborates with some well-known composers on music. Her primary go-to guy is Greg Kurstin, but others also contribute, like Rostam Batmanglij (formerly of Vampire Weekend), Kid Harpoon, Tor Miller and E. Frederic (aka Ricky Reed). Rogers co-produced all of the songs on the album. As first hinted with that life-altering song “Alaska,” Rogers is an expressive lyricist and musician. But, she also possesses qualities that are harder to identify, engaging listeners not just with a relatable lyric or irresistible melody, but with her remarkably versatile voice, a captivating persona, and an intuitive sense for what a good pop song needs. It's a rare gift—and Rogers has it. With Heard It in a Past Life as a springboard, it will be intriguing to see where she goes from here, on her own. 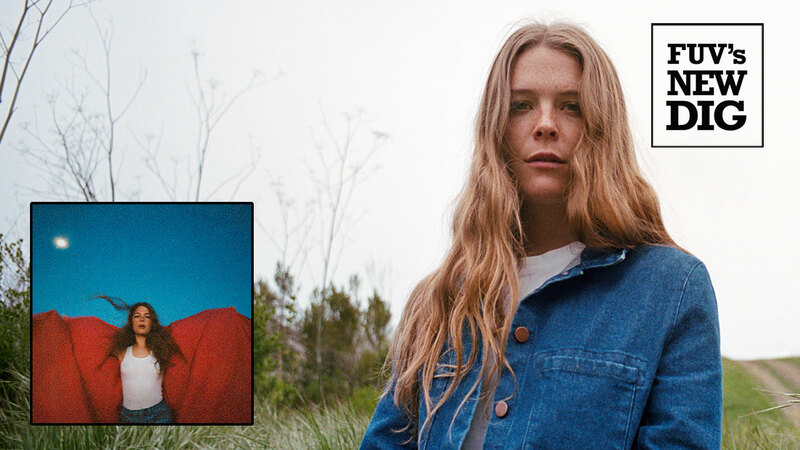 Maggie Rogers will be in Studio A for a brand new FUV Live session, airing on 90.7FM this Thursday, February 7, at 8 p.m., EST, or available on-demand too.